Last fall I fell in love with two (new to me) vegetables, brussels sprouts and fennel. I could have eaten them everyday, but I don't think my then fiancée would have been too pleased. 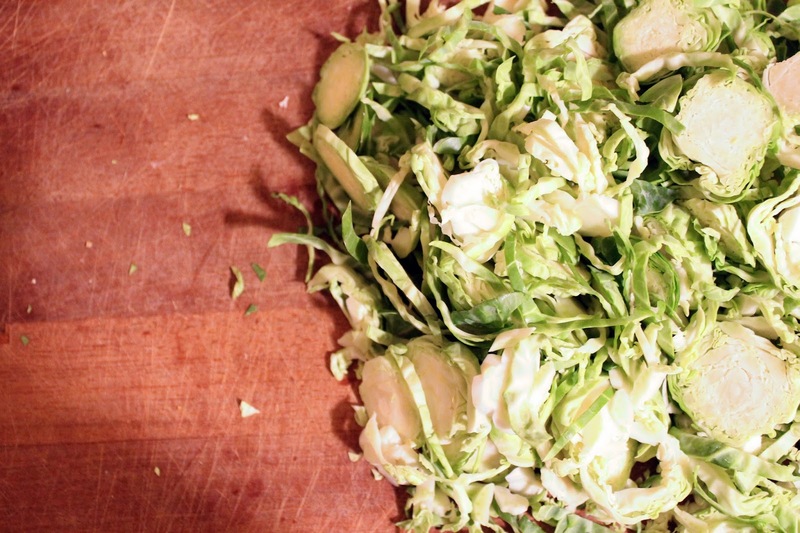 I tried multiple brussels sprouts recipes over the season, but I kept coming back to this one. 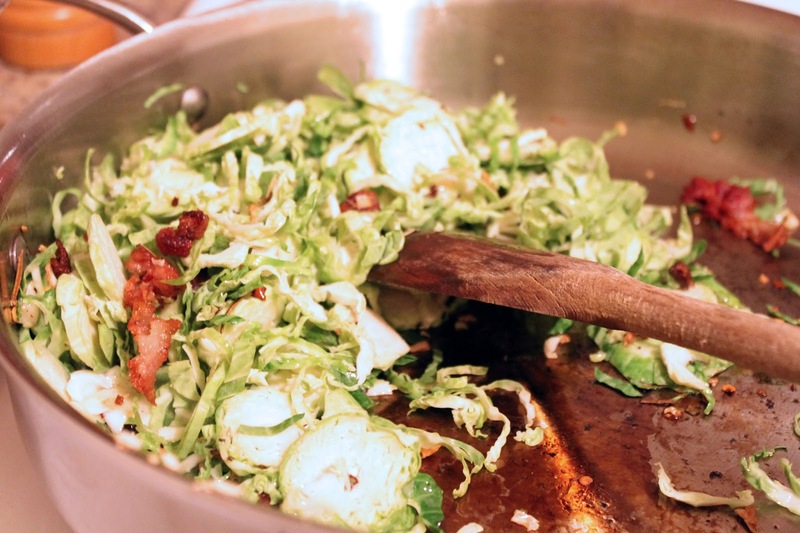 The crispy bacon, spicy chili flakes, and soft brussels sprouts are so comforting on a cold day. I made this for dinner last week on a particularly cold (it came close to being in the 40's) and rainy night. I'm looking forward to trying out some different seasonal vegetables this fall, but brussels sprouts will always have a special place in my heart. Bring a pot of water to boil over high heat. Once boiling, add penne and cook until al dente. Heat a large skillet over medium heat. Once warm, add bacon and rosemary to pan and cook until crispy (about 5 minutes). Add red chili flakes and garlic and cook for one minute until fragrant. Add the brussels sprouts and 2 tablespoons of water (this helps cook the sprouts). Keep the brussels sprouts moving in the pan until water has evaporated, then press sprouts into the pan and allow to get crispy, this will take about 3 minutes. When the sprouts look cook through add the butter and the juice of 1/2 a lemon to the pan, then toss in the pasta. 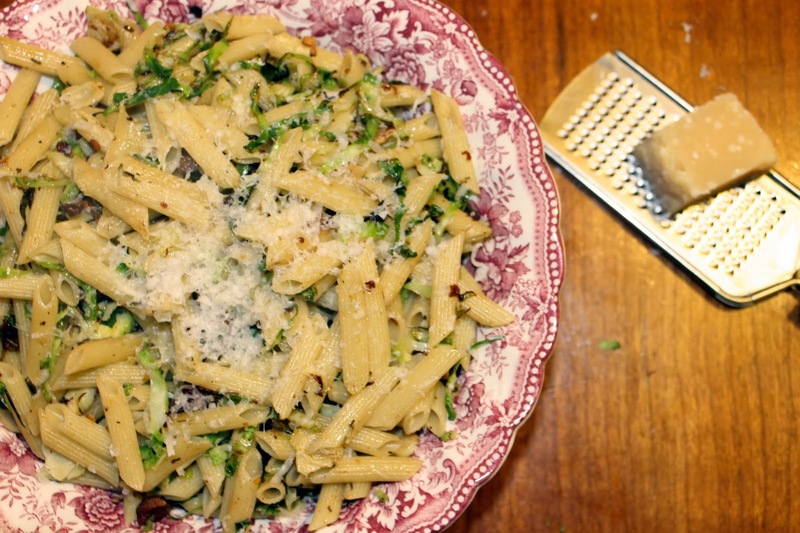 Serve pasta in a large bowl with a heaping amount of grated parmesan. This looks so yummy, it makes me want to eat. 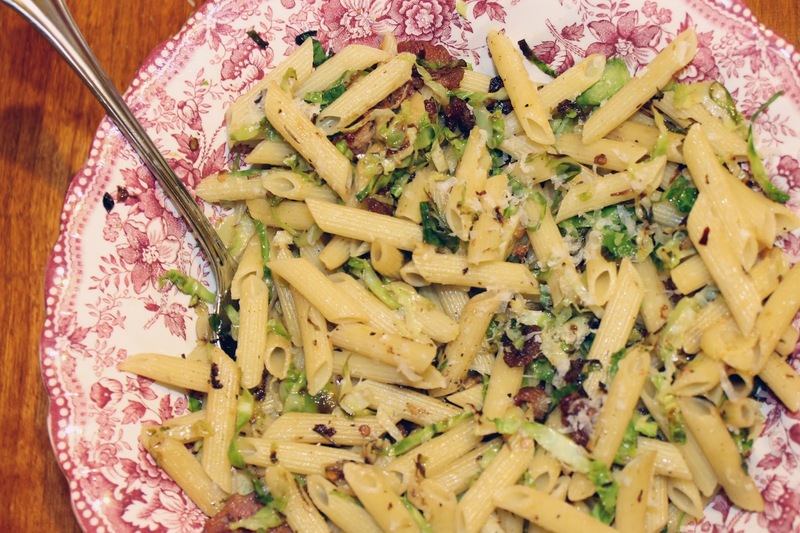 I never thought of a pasta-Brussels sprout combination. I am going to try this! Thanks for sharing!